...at least when it comes to their annual renewal strategy. The DMV sends out reminders for car licensing renewals in August for licenses set to expire in December. This simple preemptive churn prevention strategy gives drivers plenty of time to update their payment info and guarantees predictable cash flow for the state. It's not sophisticated, but it's leagues ahead of what most subscription companies are doing today. What the good folks at the DMV know is that long term revenue stability requires customers to renew their plans and lock in subscriptions. To make that happen for your customers, you need strong recovery emails that make it easy for your customers to continue paying for your product. We'll cover the impact of delinquent churn on your business and go deep on the strategies you can use to optimize your recovery emails to encourage renewals and boost customer happiness. By the time a payment from one of your customers doesn't go through - which you won't realize until the end of your customer's subscription period - the damage has already been done. You no longer have any way to bill them and they're not contributing revenue. Since subscription companies rely on recurring revenue to drive growth, this represents a major drag on your bottom line. You might think that this failure is just a temporary inconvenience to your cashflow. The reality is much worse. Interruptions from failed payments often turn into permanent cancellations. The reason is simple: unintentional renewal failures caused by expired credit cards present your customers with an entirely new purchase decision (and an opportunity to churn). Much of the friction from their initial purchase returns, as they once again have to justify the cost relative to other options on the market. Inevitably, some will leave or downgrade. This is a massive unforced error for your business. The impact is even higher for your annual subscriptions, which are particularly vulnerable to payment failures. The vast majority of credit cards expire every 36 months, so roughly 2.8% of your customers' cards will expire every month. If all of those expirations went unaddressed, you could easily lose nearly 33% of your annual subscriptions every year from delinquent churn alone. The longer the length of your plans, the greater the risk of expirations preventing successful billing. A higher number of annual plans is correlated with lower customer churn, which is one reason your annual customers are likelier to have higher lifetime values. You're also more likely to attract high-value enterprise customers that prefer annual plans over month to month arrangements. Your annual customers do wonders for your cash flow with lump sum payments you can reinvest back into your company to power faster growth. While annual plans have a higher risk of payment failures, their benefits outweigh the risks. Here's how you can use email to minimize those risks while making your customers happier. Recovery emails get a bad rap. After all, no one wants to be seen as begging for money. But there's no reason to dread sending them. When executed well, recovery emails can be a core part of your strategy to create the best all-around customer experience possible. These emails can help you maximize the three pillars of customer retention: keeping customers happy, reducing customer effort, and delivering exceptional customer service. Let's look at each pillar, starting with customer happiness. they're paying the right price for the value that they're receiving. Renewal emails are a chance to remind them of both of these points. The best emails include reports that demonstrate ROI in terms of time or money saved and showcases the features your customer uses most. These justify your request for new payment info and reduce the friction of the purchase. The productivity app Do (acquired by AWS this year) mastered this concept in their weekly emails with personalized insights. 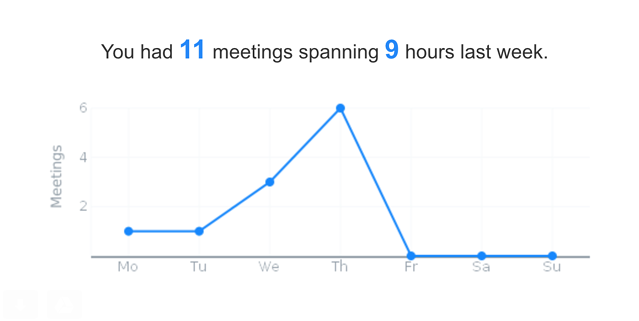 After demonstrating the meeting tracking feature, the email takes it one step further and suggests time optimization strategies. 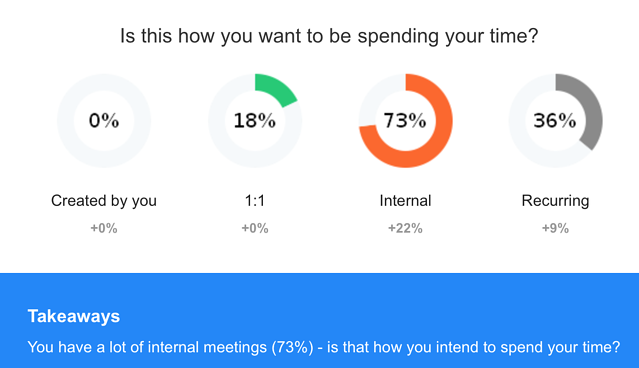 This effort to improve productivity reinforces the core value proposition of the app: tailored insights that suggest strategies for better time management. Reports like this one make perfect additions to recovery emails. They make updating payment information a no-brainer - after all, a happy customer has just received a reminder of value from reading the email. The next retention pillar involves reducing customer effort. A study in the Harvard Business Review found that reducing the amount of work your customer has to do is one of the most effective ways to increase loyalty. 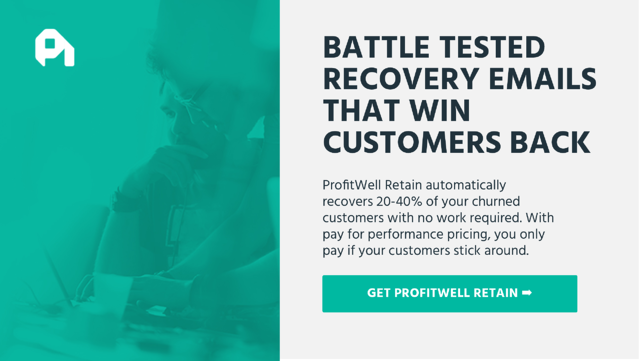 We've tested these strategies in the real world with our automated delinquent churn recovery product Profitwell's Retain. We've found that properly optimized emails that do much of your customer's renewal work for them can add whole perentage points to your recovery rate over standard emails. The final pillar of retention is providing a really high level of customer service. Treat your recovery emails as opportunities to open lines of communication with your customer. This works especially well if you're sending out recovery emails before a customer's subscription period has ended. Asking for feedback about the product and engaging with responses. Recovery emails are a valuable strategy for initiating customer development conversations, giving you the qualitative data you need to make improvements to your product while making your customer feel ownership of your app. Personalizing the email as much as possible. You aren't a robot - don't come across like one. Thank your users for their continued loyalty and make sure to include their name and some recognition of their time spent using your product at a minimum. A high level of customer service can turn a cancellation into a conversation. If a customer is unsatisfied, it's not always because your product isn't delivering value. Your customer might just be in the wrong plan. Even if they decide to stop using your product, you've heard valuable feedback that would otherwise be lost. The best recovery emails remind your customer of the value they're getting from your product, make updating payment info a breeze, and open the door to customer development conversations you can use to improve your product. Yet, recovery emails alone aren't enough to solve the entirety of your delinquent churn. If you're going to convince a customer to update their payment info, you'll sometimes have to venture beyond their inbox. Maximizing renewals requires using some specialized techniques to make sure that your request is seen. Set a precedent for communicating with your customers in these channels before you use them to ask for payment recovery information. You don't want your first message in any of these channels to be bugging them for a new credit card number. But the more channels you have available to you, the better. Let's establish something up front: renewal incentives are not discounts. A discount arbitrarily lowers the price and erodes the value of your product all to drive a sale with a non-ideal customer. 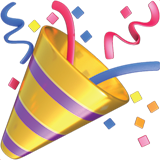 An incentive to renew early or pay several subscription periods upfront nets your company immediate cash in the bank while making your customers happy (who doesn't like a deal?). Consider offering a lower price for upfront payment or early renewal of an annual plan. Both can be powerful strategies for generating cashflow and locking in revenue. Just make sure you don't overdo it and offer incentives to those who you don't need to recover. 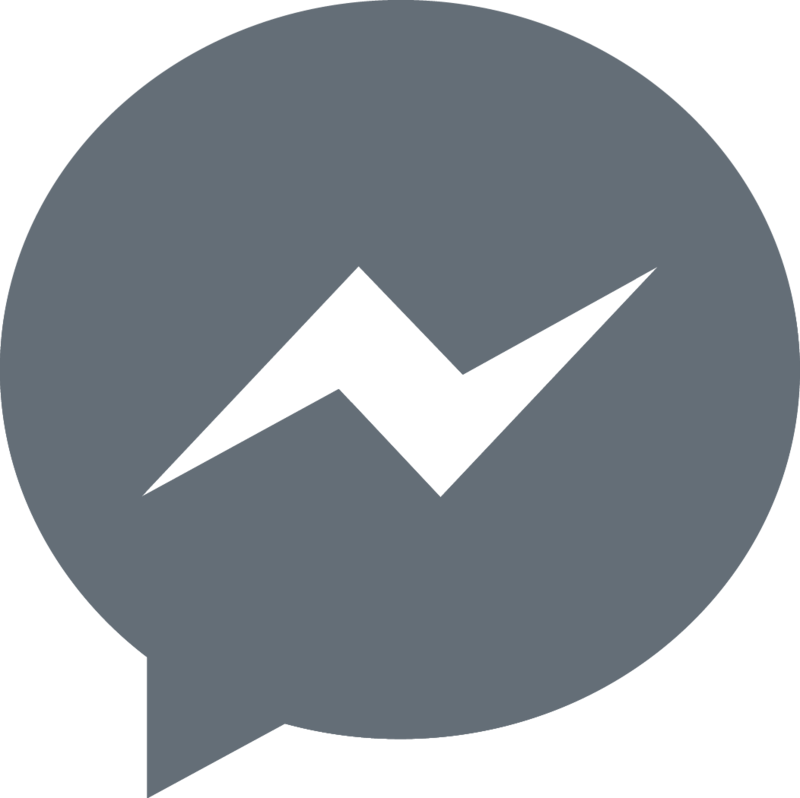 A method of tracking which customers renew to avoid sending recovery messages to customers who have already renewed (we've seen it happen). A mechanism to reward team members that lock in renewals early. Retained customers are just as important as new customers - you can create an incentive to make sure your team views them that way. Dealing with every payment issue ad-hoc is a recipe for disaster. Establishing a system makes it far easier for your team to effectively manage the dunning process without making mistakes. Optimized recovery emails are the backbone of any strong renewal strategy. The best emails clearly communicate value while reducing barriers to payment, making the effort required to continue using your product trivial. Taking the time to write a strong series of emails - and adding some of the other renewal tactics we mentioned into your strategy - is an investment in the success of your company and your customers.